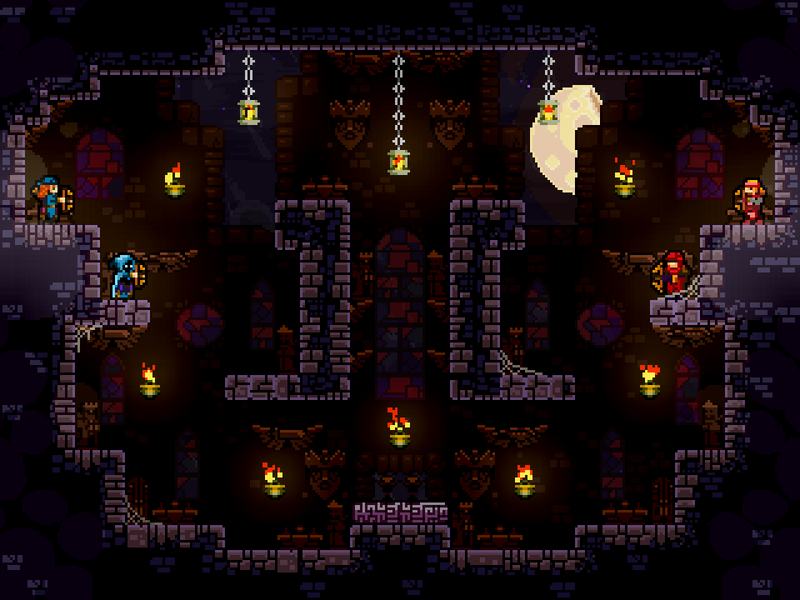 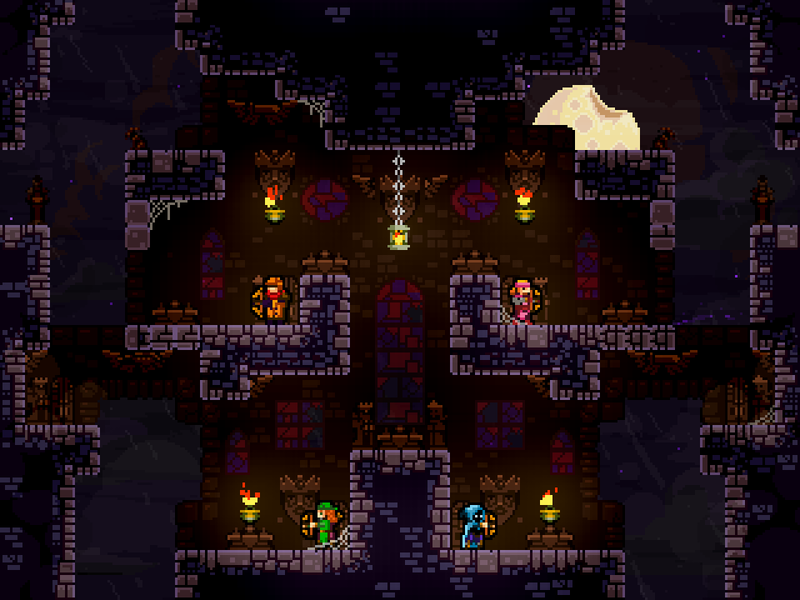 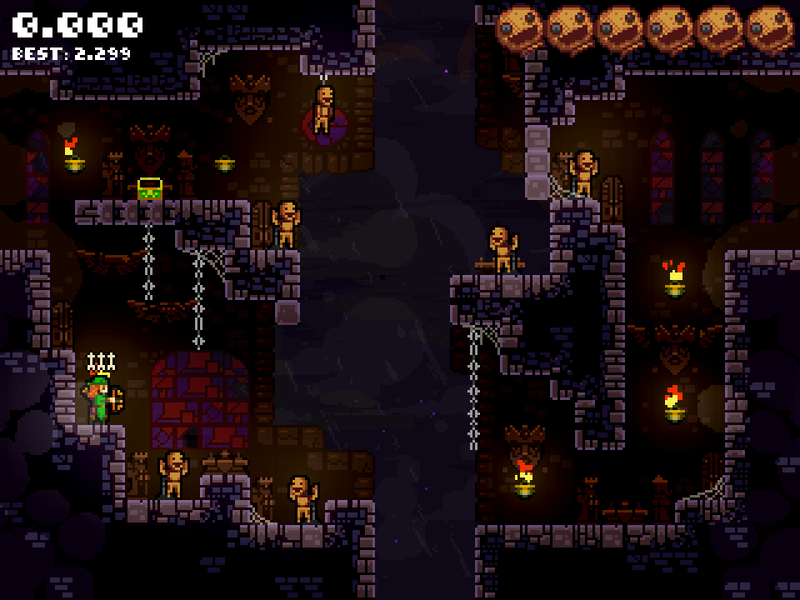 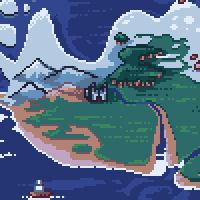 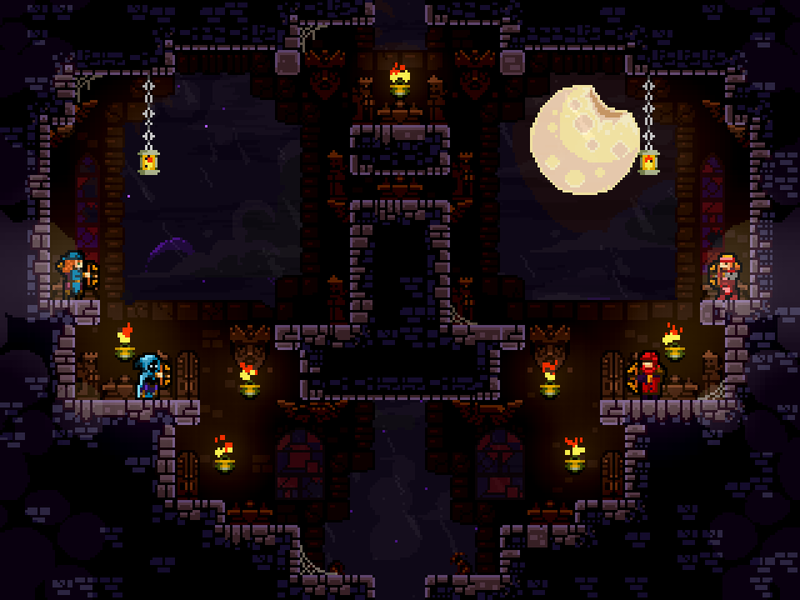 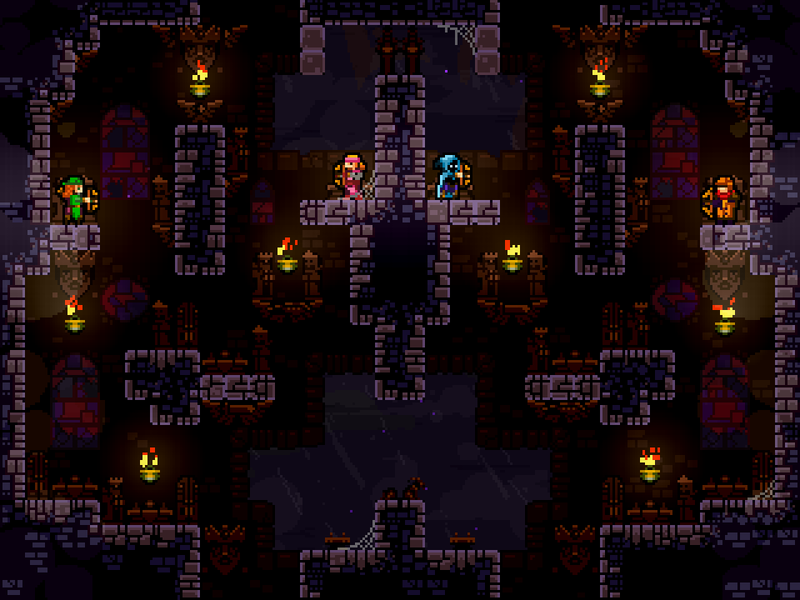 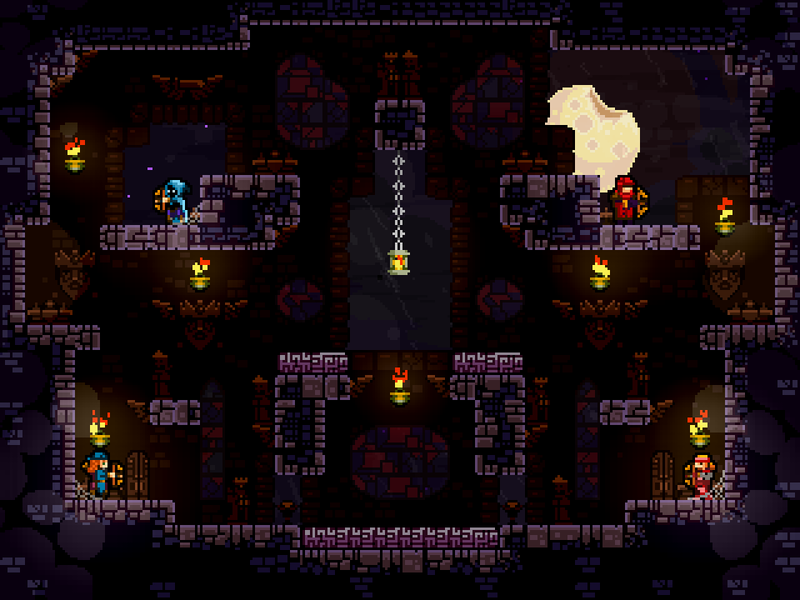 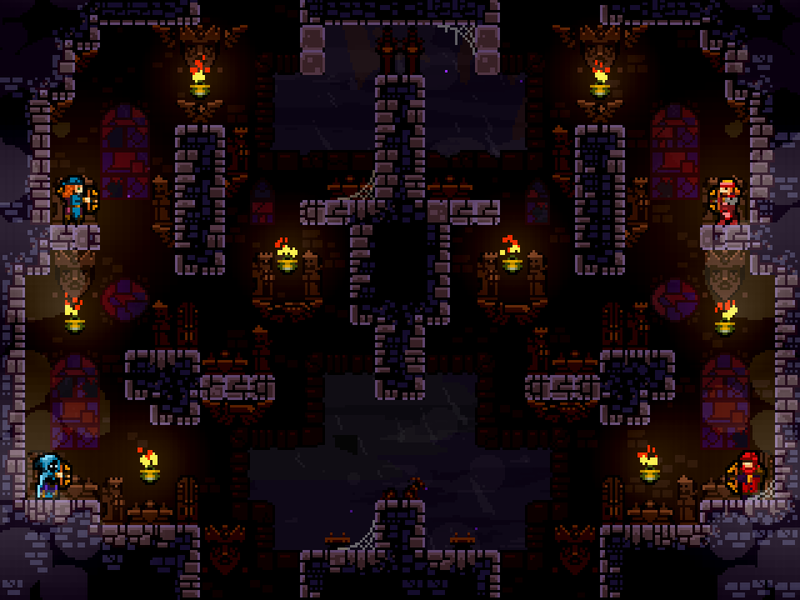 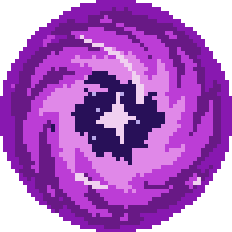 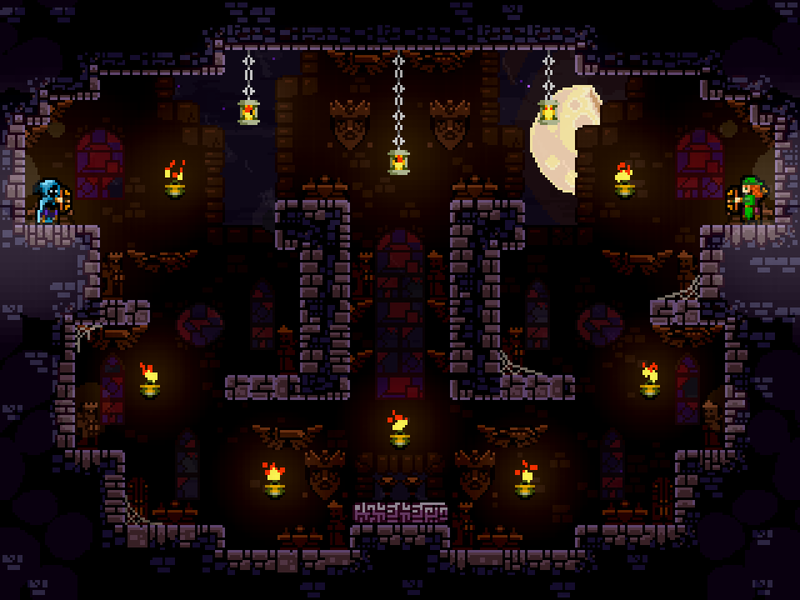 Sacred Ground is an abandoned cathedral on the western end of TowerFall, commonly used as a training ground or safe haven for all manner of travelers, rogues, and outlaws. 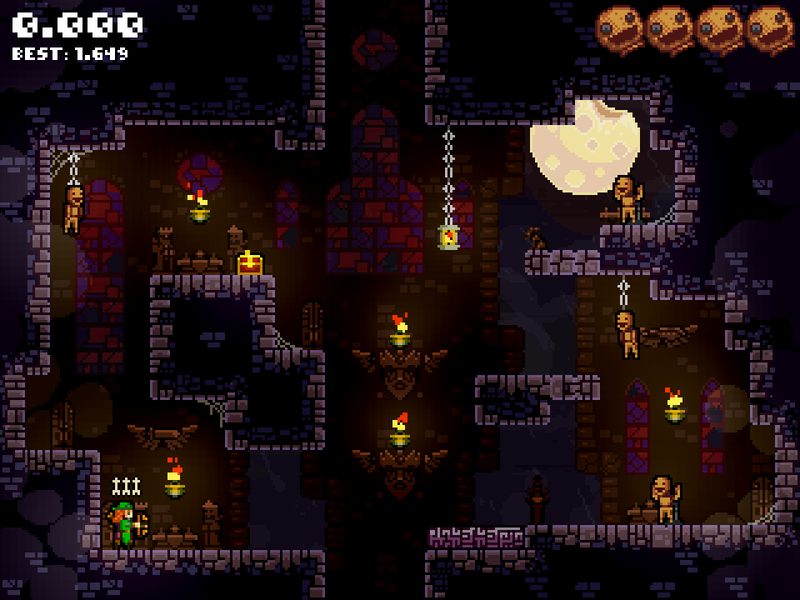 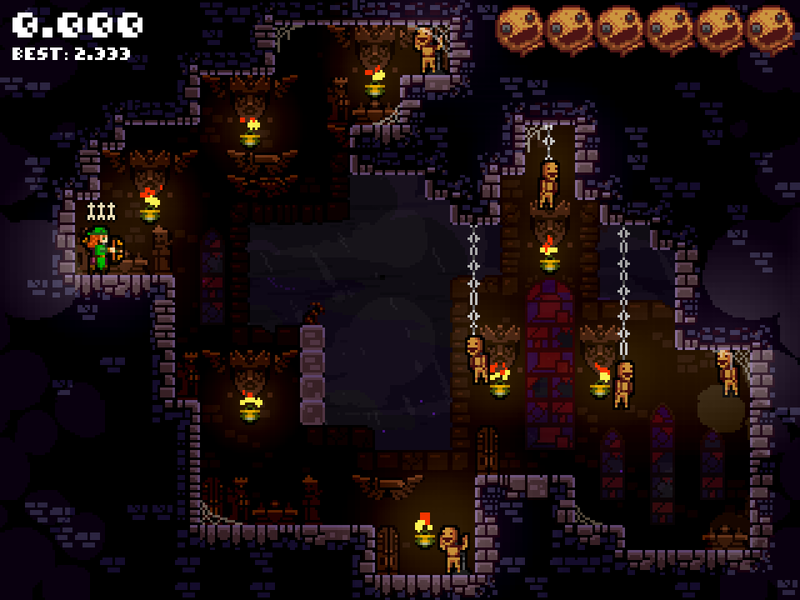 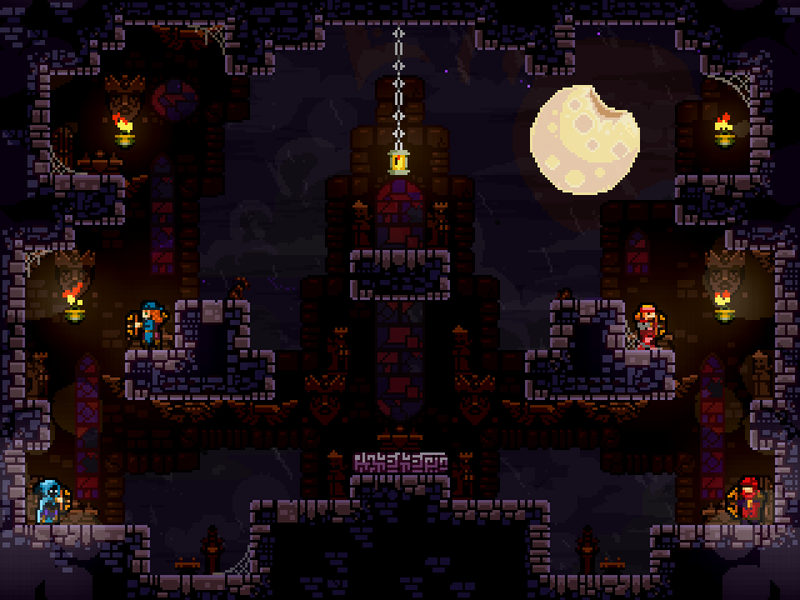 TowerFall's minimal tutorial occurs on Sacred Ground. 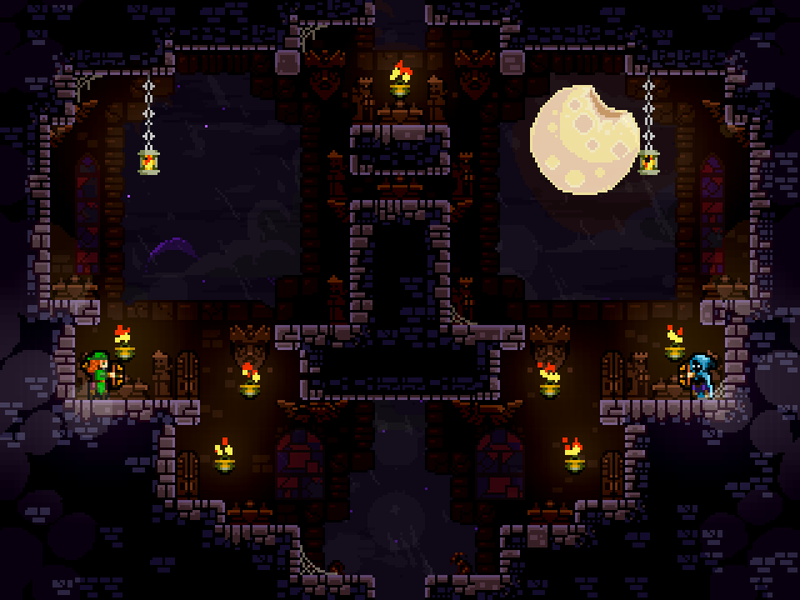 When you start playing on this tower in any game mode, you're first shown a panel with the controls before the game starts. 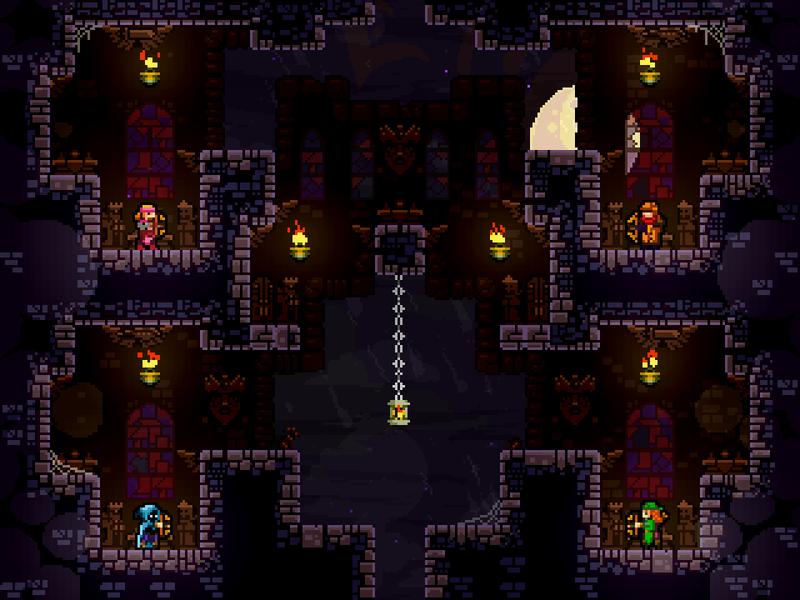 In addition, every free-for-all Versus match on Sacred Ground begins on the same introductory level, where players have time and space to become acquainted with the basic controls. 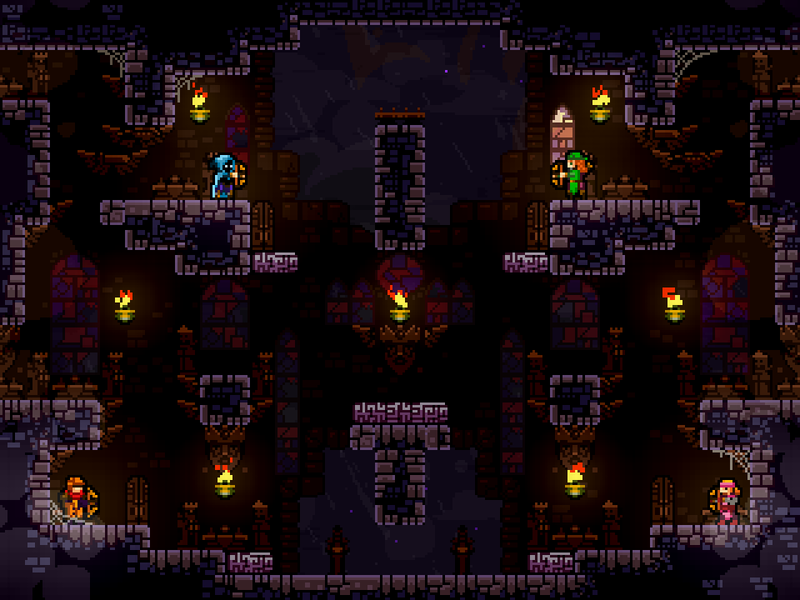 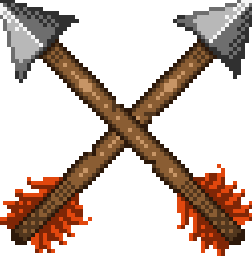 Because of this, it's recommended to fight on Sacred Ground first if you're joined by new players. 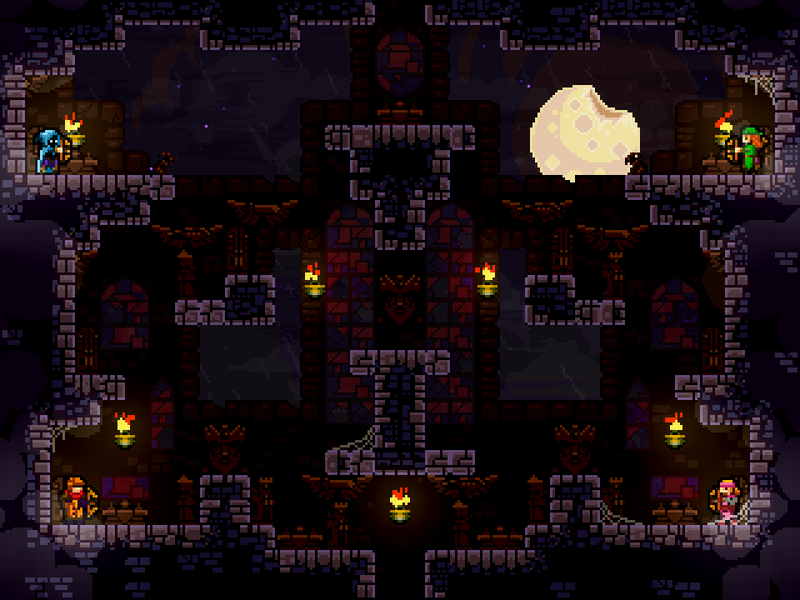 As the first tower, Sacred Ground is also the simplest. 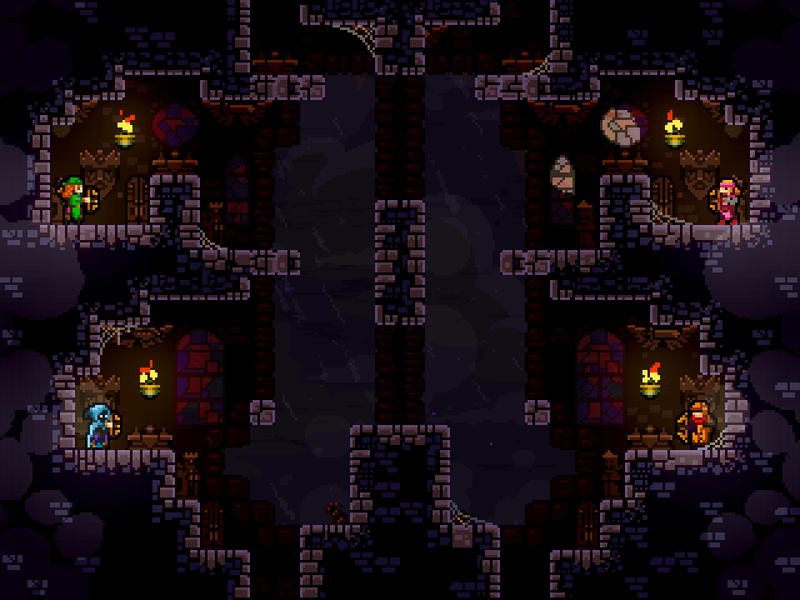 The layouts are forgiving and easily readable. 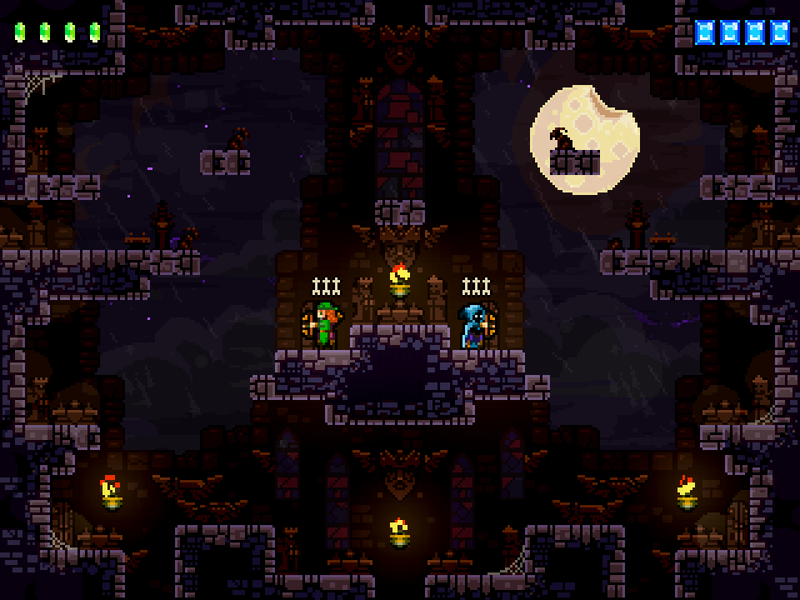 No special arrow types spawn on this tower by default, and several other advanced powerups are also omitted, such as the Looking Glass and the Space Orb. 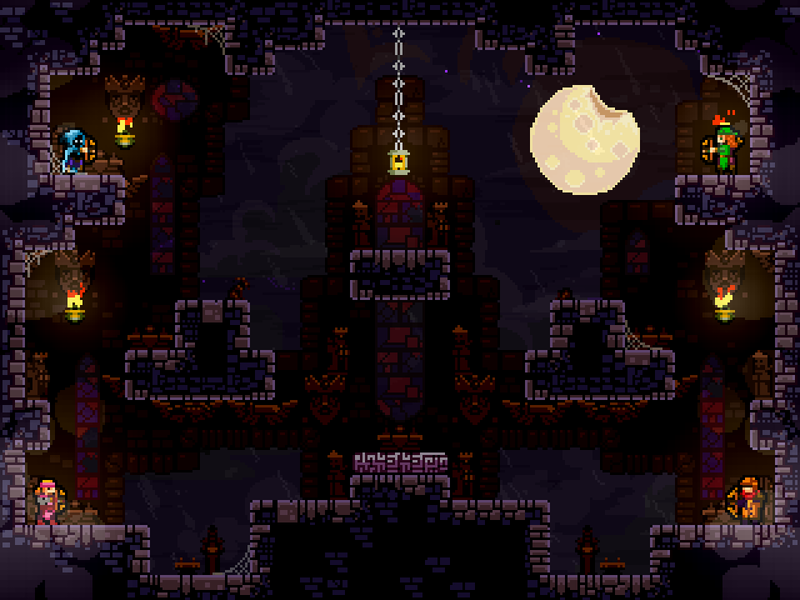 Sacred Ground does however introduce Jump Pads and Hanging Lanterns.